Ever distinguish a scent inspiring a childhood memory… or, experience a sunset and recall a vacation? Our senses dictate our perceptions and impressions of reality. 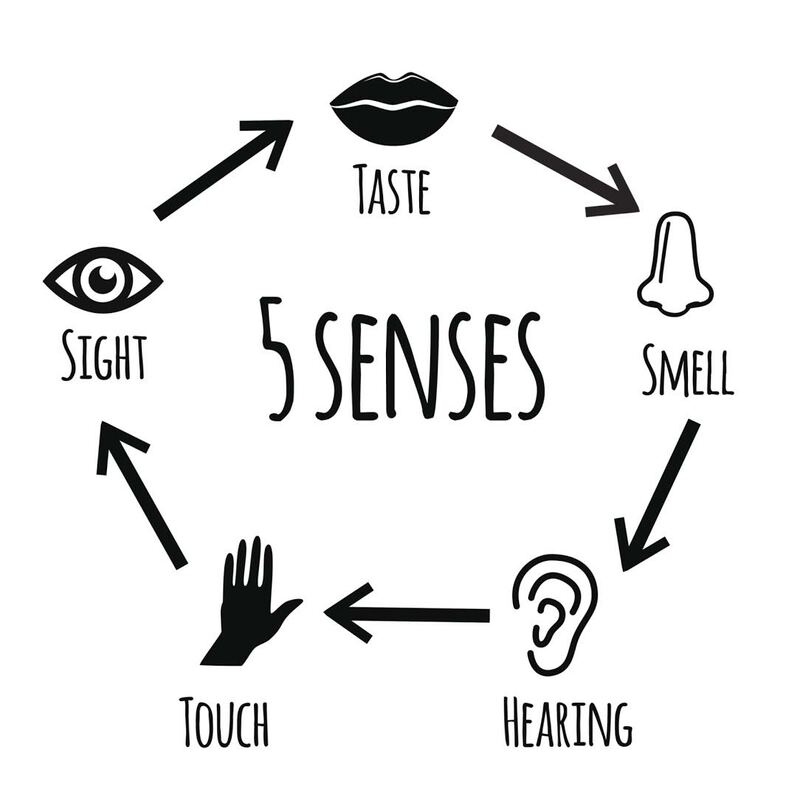 The five senses… sight, hearing, touch, smell, and sound… collaborate to bring order and understanding to assist the navigation of our surroundings. The five senses… sight, hearing, touch, smell, and sound… collaborate to bring order and understanding to assist the navigation of our surroundings. Perceptions of reality are unique to each of us based upon our sensory interactions, previous knowledge or experiences, and environmental cues. As we know, none of us experiences exactly the same things even in the exact same situation and each of our senses are unique. Vision, the most dominant sense in humans, can betray us, that is, what your eyes are seeing will sometimes override what your ears are hearing. The McGurk Effect provides an example of how our senses compete to bring about decisions. As we know, our senses adapt to the environment and are amazingly intuitive when one sense decreases in ability. Think about how the blind navigate the world with astute hearing, whereas the deaf rely on sight to understand speech. Our senses impact relationships as our ability to perceive emotions of others [also] relies on combinations of cues from sounds, sights, and even smells. Scent Therapy Practicing what some doctors call “scent therapy” can engage new receptors in your nose, improving your sense of smell over time. Essential oils, ground coffee, and shampoo are easy-to-access examples. Becoming aware of the scents through our daily lives heighten our intuition by strengthening associations in our brain. If you are an eager scent experimenter, heed a warning: When you conduct scent therapy, you should sniff quickly, rather than deeply inhaling each scent. This way you’ll avoid scent fatigue. Healthy Choices & Aromas Yet another reason to avoid processed foods: they contain chemicals to enhance the flavor… training the brain to expect flavor explosions. Eating a large quantity of processed foods can lead to[healthier] food tasting bland in comparison. Decreasing processed foods and adding a variety of spices and herbs to meals [introduces] the taste buds exposure to new [flavors]. Smelling food before tasting it increases the association within the brain. Go ahead; take a whiff before chowing down. Drink Red Wine with Music The antioxidant, resveratrol, has been found to improve hearing over time. To enhance auditory skills: Grab a glass and turn on some jazz… music with distinct elements improves the ability to distinguish between many sounds. Touch… Well, Almost Everything When [attentive] to the feeling of different textures, the brain is awakened and the sense of touch is stimulated. When shopping, think about how the clothes feel and differ in texture. When choosing bed linens or any item that touches your body, be conscious of the material and texture against your skin. Deliberately touching different textures throughout the day stimulates the brain in a unique way and enhances our overall sensory intuitiveness.